Won’t it soon be the season to turn a few heads in the latest thing in swimwear? 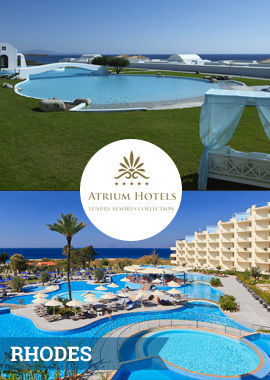 Don’t you catch yourself dreaming of a warming breeze, a stretch of beach and a sun lounger waiting just for you? In the cold mid-winter time, dig deep for that summer sparkle and the ideal sunshine break can be yours. Let your winter daydreams be your guide. The choice is all yours. A contest to take you all the way from your mind’s eye to the real deal of summer. Dream Up Summer Contest has officially ended. Thank you all for your participation! Our Dreamers/Winners will be announced soon. Remember: You had a dream, a perfect spot in the sun. Stay Tuned for more. 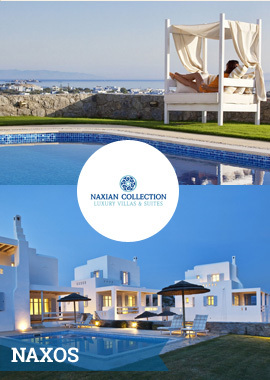 relaxing holidays, combining innovative architecture, state of the art facilities, personalised service, exclusive décor and the traditional warmth of Greek hospitality. 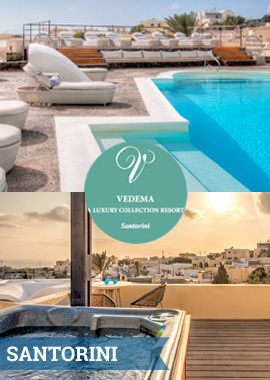 Vedema Resort is the place where emotions, creativity and perfection meets a world of beauty and mythology. Sleek and spectacular, with unprecedented privacy, Vedema inspires extraordinary journeys for the soul. ROUND TRIP FLIGHT TICKETS for the winner +1 guest, to and from the the nearest Airport. 5 DAY STAY including 4 nights’ stay at a Hotel [double occupancy including breakfast] for the winner +1 guest. Patmos Aktis Suites & Spa hotel is located only a few steps away from the picturesque bay of Grikos and forms a blend of modern luxury and traditional architecture and earthy tones domine, with minimalism playing a leading role in decoration.